In Yellow Submarine, after Pepperland comes under attack by the music-hating Blue Meanies, Captain Fred takes the submarine to find The Beatles to help restore order. Pepperland is a peaceful place full of love and music and Sargeant Pepper’s Lonely Hearts Club Band, who protect the land. The Blue Meanies then attack Pepperland because they hate music and also seal away the band. The mayor sends Fred to find help and Fred takes off in a Yellow Submarine to find the Beatles. It’s really difficult to dissect the story behind the basic premise because calling it “trippy” would be almost an understatement and the plot really isn’t the reason the watch this animated film. The star of the film, aside from the soundtrack, is really the animation itself. Many of the techniques used in Yellow Submarine were groundbreaking and it is still quite the visual treat. As with many (all?) musicals the plot is loosely tied to what songs come next but considering the quality of the songs that is not a negative point. I had never seen Yellow Submarine from start to finish and was a bit shocked that it runs a full 90 minutes and after a while it really feels like it’s that long. Great animation and music can only get you so far before you just want to destroy the Blue Meanies and for the whole thing to be over with. One thing I was also shocked to learn is that The Beatles themselves do not voice their characters, they are all impersonations, though the group does appear in a live-action sequence at the very end. As far as musicals go, I am not usually a fan, but Yellow Submarine is different. The quality and care taken with making Yellow Submarine is remarkable. Fans of The Beatles, the film, or animation should take note of the recently released Blu-Ray, which is how my wife and I viewed this. The set is incredibly well-made and the visuals and sound in Yellow Submarine are simply stunning as a result. While I can’t say I will be watching the film again any time soon, I’m very glad I finally took the time to watch it. I give it 4 When I’m Sixty Fours out of 5. This entry was posted in Blu-Ray, June, Months and tagged blu-ray, june, movies, the beatles, yellow submarine. Bookmark the permalink. Oh wow. 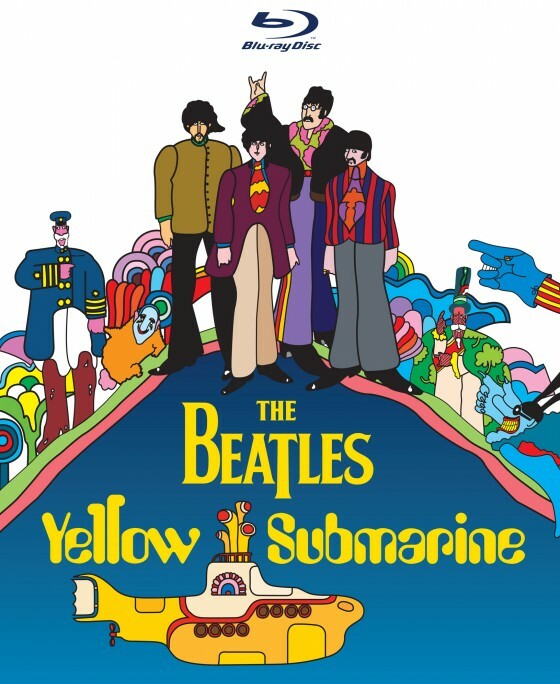 I’m sure there’s artistic merit to Yellow Submarine, but it was permanently lost to me due to a traumatizing experience in Animation History class when my teacher, a half-deaf guy in his sixties and a huge Beatles fan, screened this film for us with the audio cranked louder than a death metal concert. As a result, I think I have some permanent hearing loss in addition to my recurring nightmares involving psychedelic british cartoons. Man, Yellow Submarine at extreme volume has to be as close to doing handfuls of drugs without ever touching a thing. I can see how that would mess it up. I had a traumatic theatrical experience during What About Bob? where a guy with unearthly body odor sat directly next to me. I couldn’t even watch think of that movie without wanting to cry for at least 10 years so I feel your pain. The hell of it was that the theater wasn’t even full so why did he have to sit next to me?! Sorry, I’m still bitter after all these years. This is one of my favorite animated films of all time. A few years back, I got to see a premiere of the film which featured a discussion by the producer, who talked about the film. The animation is bright and brilliant, and the music is great too. Good review. I absolutely adore this animated tale. I saw this when I was very young and I’ve been a Beatles fan ever since. Never before has animation and music come together so perfectly. I dare say this might be my favorite animated film of all time. It’s so joyous it just makes me feel good to be alive. I think my wife feels the same way about it but I’m not sure if it is what got her into The Beatles. When I was looking at clips of it yesterday I really did want to watch it again, I just wish it was a tad bit shorter. “Fans of The Beatles, the film, or animation should take note of the recently released Blu-Ray”. Isn’t everyone a fan of The Beatles? hehe Great review, man! Man, you’d be surprised at some of the anti-Beatles things I’ve heard over the years. Thanks! 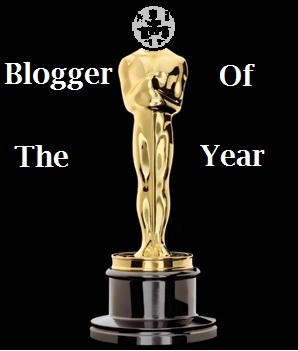 Haha nothing specific I can remember just a lot of “overrated” type comments. Oh, and I hear a lot of “Rolling Stones are better” comments. Oh yeah, I’ve heard those too.